Project-based learning is lauded as an effective way to educate students because of the various learning styles utilized. In middle school especially, lectures and direct instruction can only partially engage students in content. In order to stimulate students’ curiosity, teamwork skills, and problem solving (all 21st century skills that are integral in student development), teachers and parents alike should encourage a more comprehensive approach to understanding environmental issues. So what are some ways teachers and parents can implement project-based learning that compliments science and social studies environmental education? Through eco-projects! Whether they are based on scientific discovery or community engagement, the following activities can supplement a student’s education in understanding human impact on the environment. Scientific research is a great tool for students to learn about how people impact their environment. The scientific method encourages students to learn through self-guided discovery. 1. 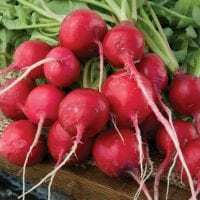 How soil pollution affects food production: Students can answer the question of how soil pollutants affect vegetable growth with an experiment using radishes. Not a radish fan or want to do veggie comparisons? Use different vegetables and/or pollutants to create a unique study. 2. 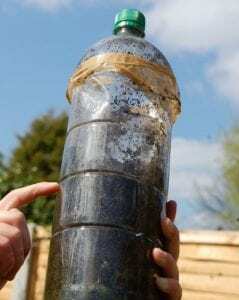 Making your own greenhouse: Creating a small-scale greenhouse can shed light on how the “greenhouse effect” works. Additionally, students can learn the life cycles of plants while closely studying them on a smaller scale. If you are ambitious and your school has the resources, there are also ways to build a full-size greenhouse that could improve both the educational and even nutritional school offerings. 3. Traditional cleaning supplies vs. natural ingredients: Cleaning supplies and other household products are currently shown to rival car exhaust as a source of air pollution. In an experiment to prove just how detrimental these products are, students can research ingredients in popular household cleaning supplies and determine how they are detrimental to air quality. After determining which ingredients may contribute to air pollution, students can then perform an experiment testing the effectiveness of natural ingredients over household cleaners. Are there significant differences between the two? 4. 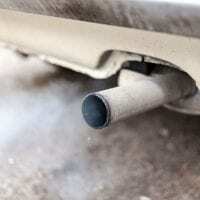 Air quality testing: We are all aware of the pollutants in the air we breathe. Scientific exploration can demonstrate for students exactly how many pollutants exist in the air in various environments. With a simple experiment, student can learn how badly polluted certain areas in their neighborhoods are. Our PopEd lesson Catching Pollution offers a method in which students can test air quality using everyday items like index cards and Vaseline. Actions outside of classroom learning can also be great tools to teach students about environmental issues and ways to be eco-friendly. These actions give students the ability to make small but impactful changes in their communities. 5. Composting: Composting can be a rewarding experience for a student’s family and their garden. Make sure to follow these directions for proper composting. 6. Trash Census: Keep track of the amount of trash your family produces in a month. Then determine ways the family can reduce their trash output. 7. Water Use/Collecting Graywater: First, families can calculate the gallons of water it takes to do simple household tasks using calculators such as Washington DC’s Daily Water Usage calculator. From there, students at home can, with their parents’ help, collect graywater for reuse in toilets, to water lawns and plants, and can also be reused in laundry machines. Collecting graywater can either be a simple, cost-effective routine or an intensive house renovation; but either way, all families can reduce the amount of water they use each day by collecting graywater. Middle school students can learn a lot about the environment through project-based learning both at home and in school. Using activities like the ones listed above can instill environmental stewardship values in students that would benefit both their livelihood and this planet’s for years to come.